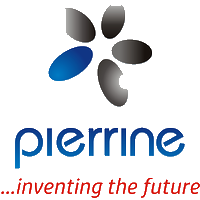 A Nigerian specialist marketing research and strategy company, Pierrine Consulting, with strong focus on assisting companies get the desired business results and future growth, recently unveiled ‘Nigerian Entertainment and Celebrities Report 2017’ to journalists in Lagos to help companies make a choice of artistes/celebrities to use in future. Chief Executive Officer, Pierrine Consulting, Seyi Adeoye, in an interactive session with journalists said the report will educate companies on the choice of celebrities to use as brand ambassadors in future, using the 2018 report which will be released in February 2019. From the report, using Pierre’s Brand Equity framework, a number of Nigerian celebrities have positive brand equity ratings that are loved beyond current collection of creative work and visibility. It also found out that the ability of Nigerian musicians as brand ambassadors to absolutely impact fans’ brand purchase behaviour and interactions with brands is not up to 50 per cent.